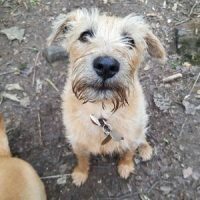 Park Pals is a 5* star rated adventure dog walking service for your dog. Is your dog at home alone all day? Do you simply not have enough time to give them a real good walk? Do you wish you had more time to do what you want? We can help by exercising your dog for you. A well exercised dog is a happy dog!. Increasing exercise time will result in greater enjoyment for your dog and fewer behavioural issues. Providing these opportunities and extra walks will improve their health and well-being. Unwanted behaviours such barking excessively and causing damage in the home and garden are usually just down to not getting enough exercise. in the home leaving you with peace of mind that they are happy and tired. Park Pals Dog Walking Services walks your dog for you. in and around the South West of Sheffield. We have access to the beautiful nearby open countryside, parks and woods dotting the area for your dogs pleasure. We keep away from the public and prefer to explore the perfect countryside and usually find a river for a cold drink. Competitive pricing means our services can be used as often or as little as you need us. we simply charge per walk. We can help out last minute* and offer a range of other services that may be beneficial to you and your dog. Call us to book a FREE meet & greet. No obligation visit to meet you and your dog. Great opportunity to ask us all about our services. Winston loves his weekday lunch walks with Kay and his buddies! We love receiving photo updates of Winny on his walks. He has such a good time! Would definitely recommend! Can't praise this lady enough. Park Pals Dog Walking Service proudly holds 5 star rated client reviews on both Facebook and Google. Beauchief, Greenhill, Bradway, Dore, Millhouses, Whirlow, Woodseats, Netheredge, Meersbrook, Heeley and surrounding. Exploring a new stretch of woods engages your dog’s mind as well as their body. Sheffield’s green scenic areas and the Peak District are popular places for us to walk and play with other dogs, which is exactly what most dogs need.